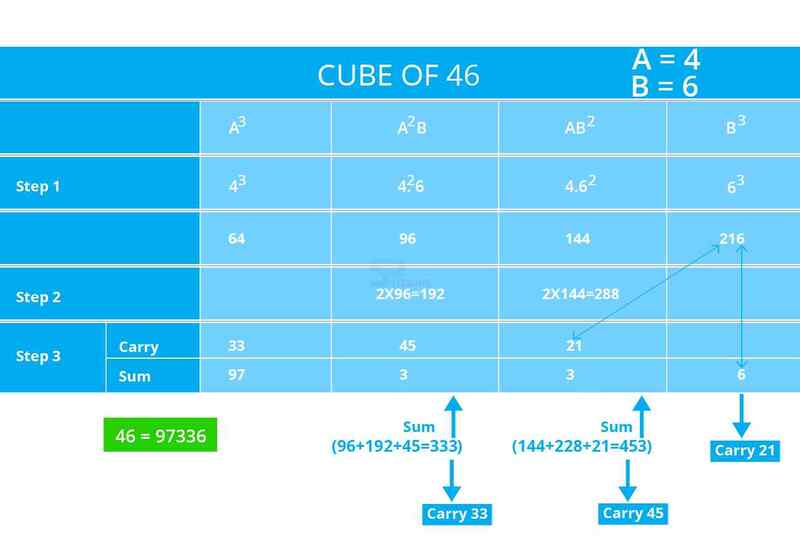 In arithmetic and algebra, the Cube of a number n is its third power: the result of the number multiplied by itself twice. 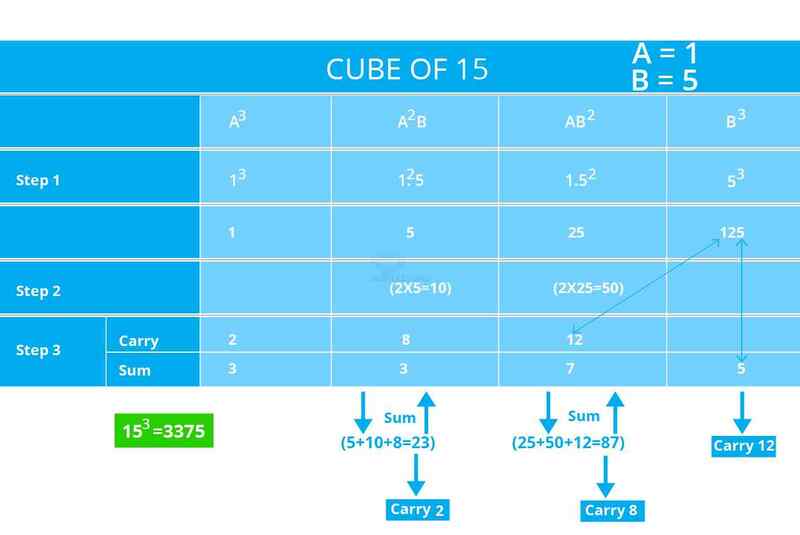 The cube of a number or any other mathematical expression is denoted by a superscript 3. \(n^3 = n × n × n\). 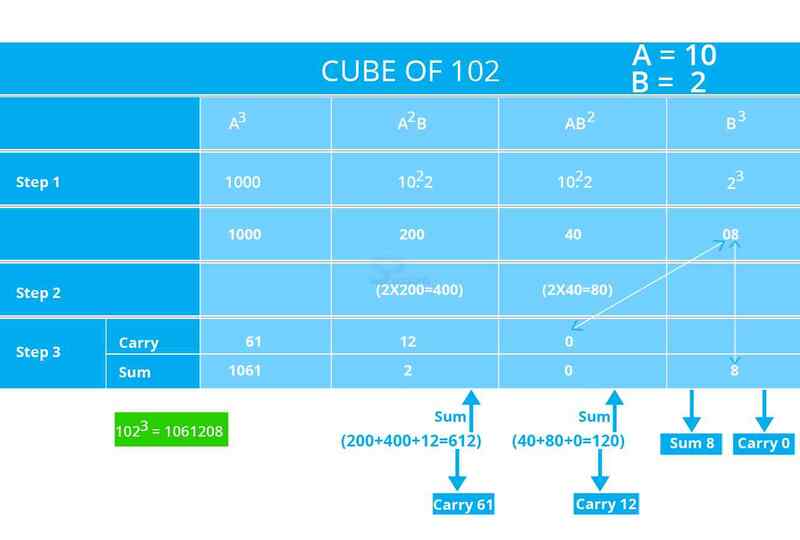 How to Calculate the Cube of a Number in 20 seconds? Step 2: Write twice the values of 2nd and 3rd terms under the terms respectively in second row. Step 3: Add the columns & follow the Carry Over Process. 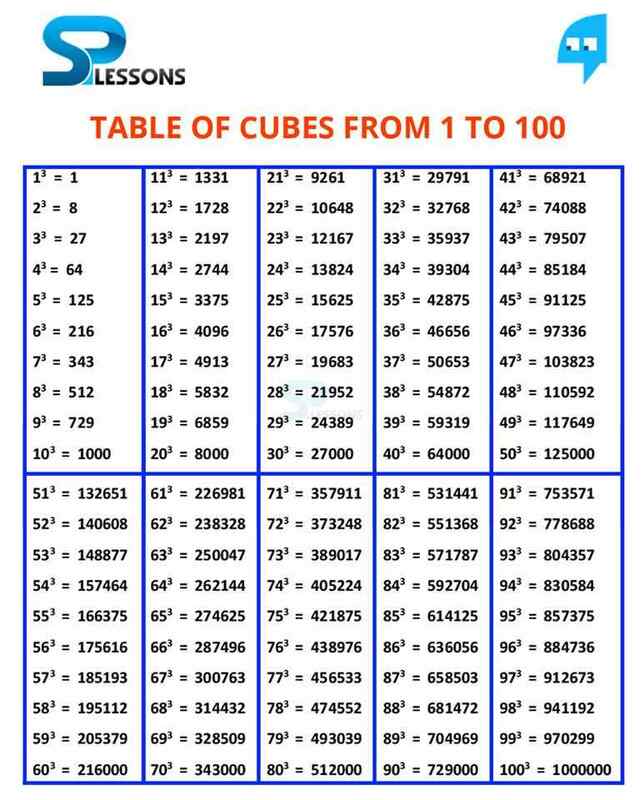 The following are the cubes of the numbers from 1 to 100.